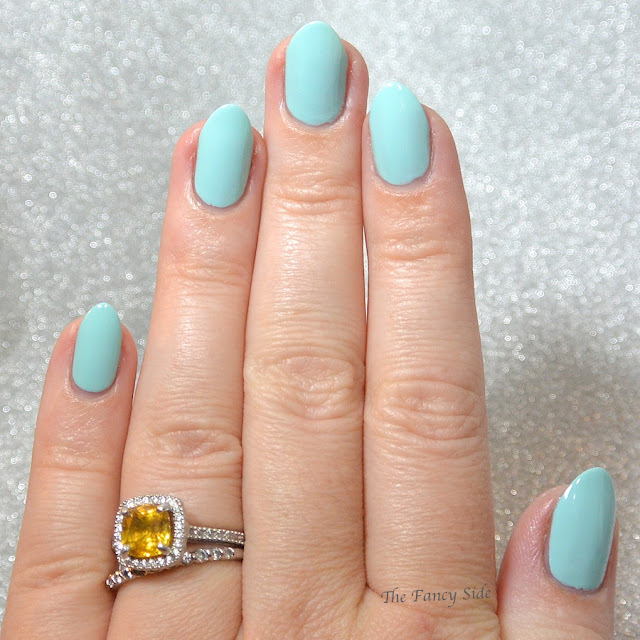 Do you ever have one of those successful mani's that make you absolutely giddy with how awesome it is? That's me with today's prompt for the #31DC2015. 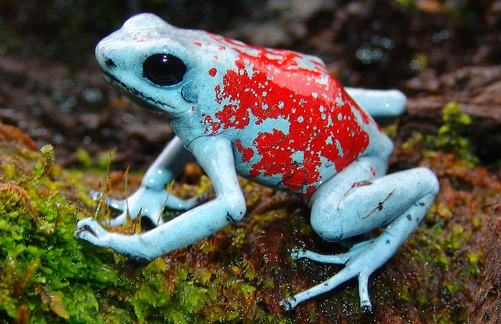 Today is Animal Print and I'm basing my look off of the Blue Pangan Poison Arrow Frog. I started off with a base of Lime Crime Once in a Blue Mousse. This is a bright pastel blue that is applied easily in 2 coats. I then taped off and latexed off my fingers (I still made a huge mess, big surprise!) 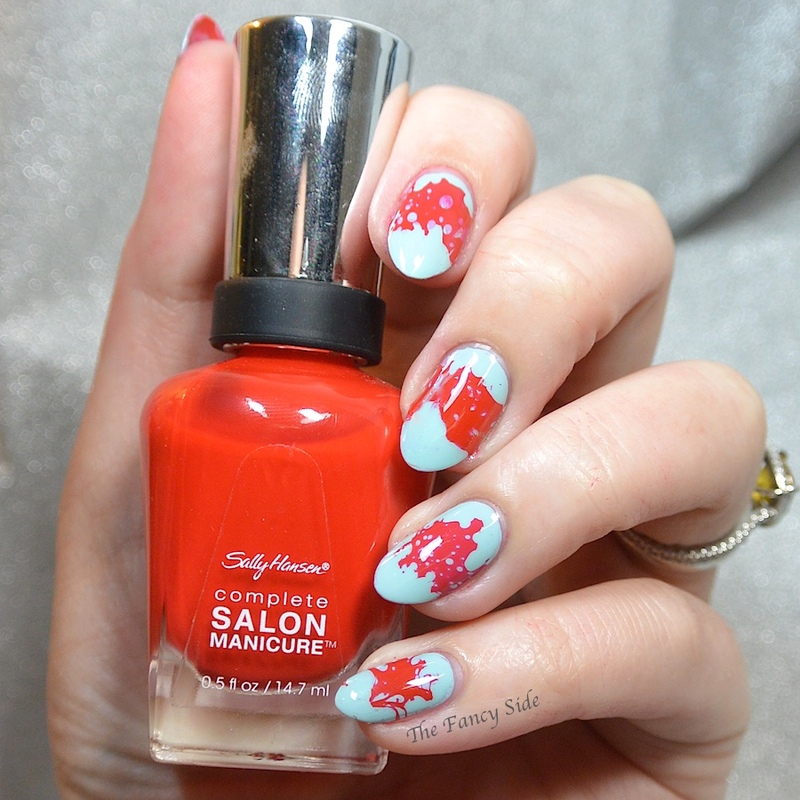 and used the Alcohol Water Marbling technique with Sally Hansen Complete Salon Manicure All Fired Up to create the patterns. And there you have it. I think this is my favorite design from the challenge so far. Tomorrow is flower nails. Can't wait! I love this, looks really cool! It looks just like the frog! I cannot master this alcohol water technique to save my life, I think I need to try something other than hairspray. I used an alcohol based body spray, it worked great. I love this so much. That color combo is fab! The colors are so great together ! Great job ! I love this!!! 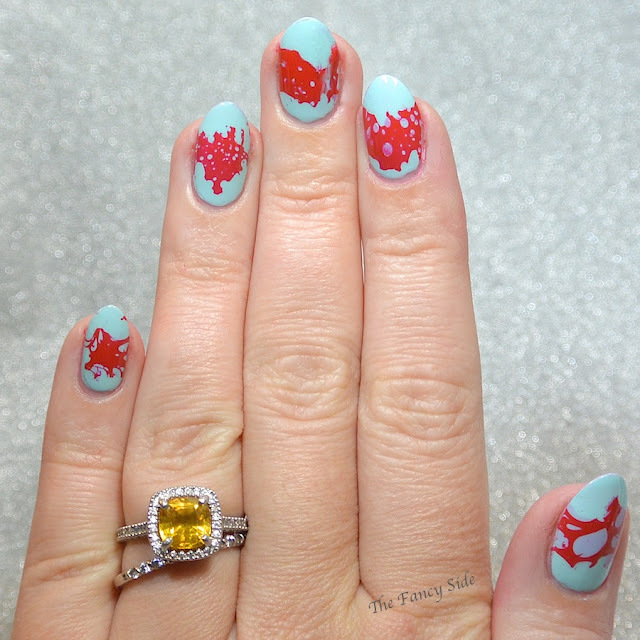 What a cool way to do a water spotted mani!! Thanks Dani, I adore it! How creative! I'd never have tjought of using the frog for inspiration! I wanted to do a different type of animal so I googled weird animal prints. It worked out perfect.